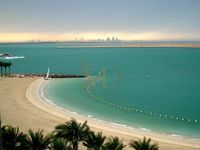 Amazing Partial Sea View Studio Apartment in Al Hadeel!!! Vacant Now! 2BR Flat .Call us for viewing. The big number of apartments for rent in Al Raha Beach gives a good indication about the scale of this mixed use project located in UAE’s largest emirate Abu Dhabi. Al Raha is a real estate project located in the area of Al Raha in Abu Dhabi city. 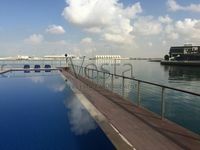 Developed by the emirate’s prominent real estate developer and investor Al Dar Properties, the project offers various high end residential apartments boasting very detailed finishing styles in addition to dazzling views of the sea. The project lies in an ideal location in the center of the city, it’s only 10 minutes away from Abu Dhabi International Airport. 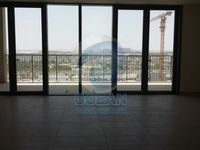 Moreover, it has a direct access to the highway linking between the two growing cities of Dubai and Abu Dhabi. The project was launched in 2013 to consist of three main communities which are Al Bandar, Al Muneera, and Al Zeina. The project total area is 6.8 million square meters. Al Raha Beach represents a big lot of space overlooking the sea and full of residential clusters and entertainment venues. It has a 131-berth marina abound with fancy yachts owned by the world millionaires along with a wide spectrum of restaurants reflecting a rich diversity of cuisines brought from everywhere around the world. There are italian restaurants, french restaurants, and Mediterranean cuisines restaurant. Starting from AED 100,000 per year, you can find yourself an apartment to rent in Al Raha Beach. It’s just a bliss to find a place to live in such a vibrant community. It throbs with sheer life and enjoyment, all residential communities in the project offer an array of facilities including retail outlets, swimming pools, sauna, fitness gyms, spas, and other. Visitors pour in Al Raha Beach from everywhere around GCC region to enjoy its various delicacies. The project is poised to house 120,000 inhabitants. It has around 4,000 residential units varying between villas, apartments, penthouses, townhouses, and other. Not to mention the range of commercial properties available too. Each community of the three in Al Raha Beach has a mega retail market offering all needed products to residents and visitors. The available apartments for rent in Al Raha Beach vary in respect of space; there are studio flats which are very popular for singles looking for affordable living in the community, one-bedroom apartments, two-bedroom apartments, and four-bedroom apartments suitable for big families. If you made up your mind and decided to move to Al Raha Beach, Just Property is your gate to find a convenient residential option. 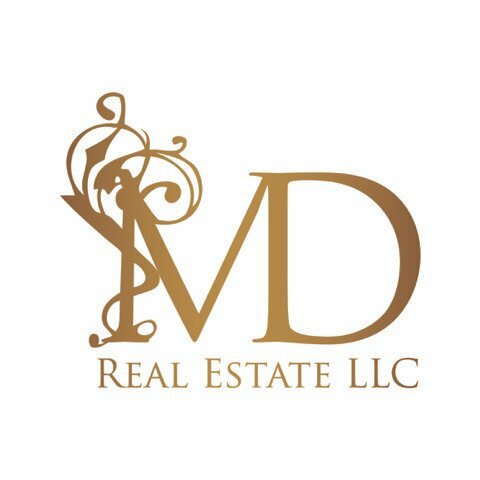 The website teems with a huge lot of apartments varying between all styles and sorts to meet the different needs of clients. It has a selective set of apartments well picked by skilfull real estate consultants, who have been engaged in this business for years. Just check our set of furnished, unfurnished, and semi furnished apartments, you’ll definitely find what you need.